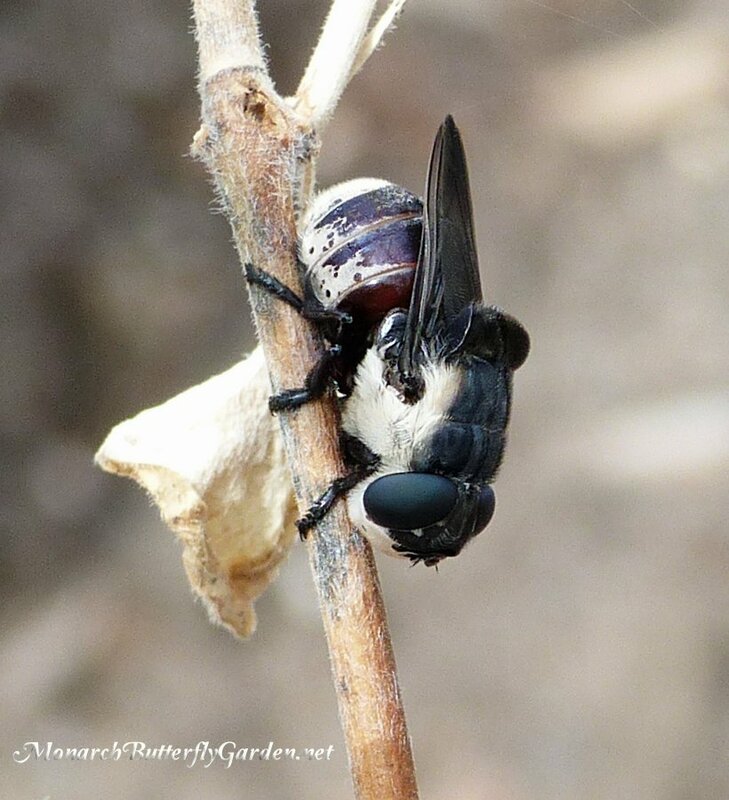 Home » What In The Milkweed?! I’ve discovered some weird and wondrous things searching for monarchs in our milkweed patch, but I’ve never come across anything resembling this U.M.O in our Minnesota garden. 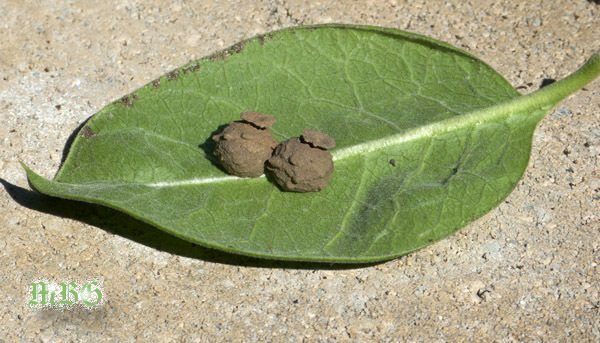 These twin globes are securely attached to the bottom of this common milkweed leaf and look/feel like an accidental splattering of dried mud. However, their identical shapes and suction cup appendages suggest otherwise. Many of you guessed that it was some sort of mud dauber or potter wasp. This is bad news for monarchs since the larva inside these domes feed on monarch caterpillars conveniently brought back to them by parents scouring milkweed leaves for monarch caterpillars. 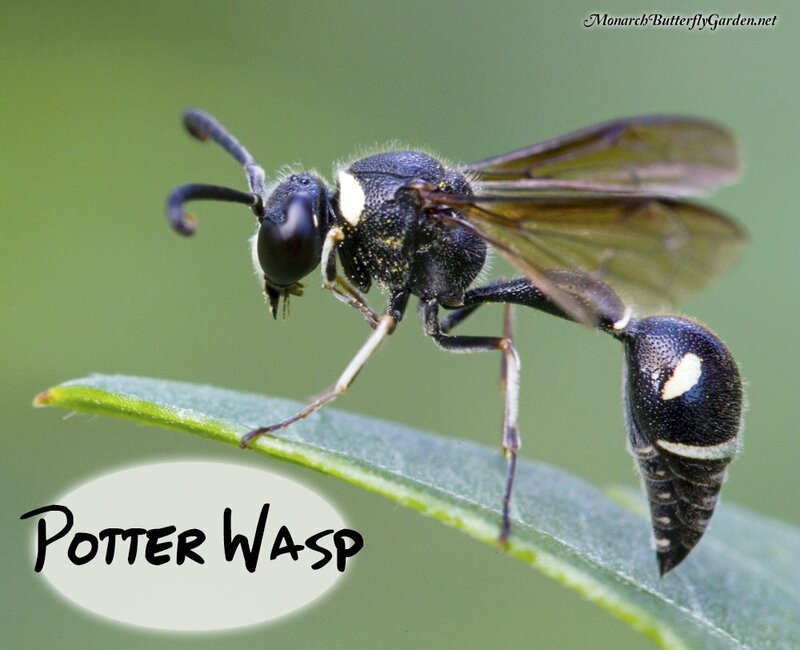 While potter wasps are monarch predators, they are also beneficial pollinators in your butterfly garden. I welcome them as garden guests, but they’ll need to find a home outside of our milkweed patch! Hi Jennifer, sorry to hear your cats were exposed to pesticides. We have been lucky up north. 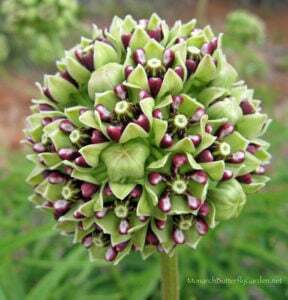 We have an abundant milkweed supply and our neighbors don’t use pesticides so we haven’t dealt with these issues. I have talked to others that have though and i know rinsing caterpillars has worked for a few. Unfortunately, if they’ve already ingested too much, there’s nothing you can do. 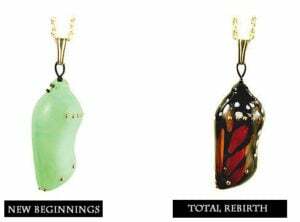 OE doesn’t have ‘visible’ symptoms with caterpillars…just the chrysalides and butterflies. I hope things turn around soon…hang in there! Earlier in May I was able to successfully raise and release Gulf Fritillaries and green tree frogs in S FL. However, after the mosquito spray trucks began coming through, I have observed the demise of these creatures. Upset, I took photos of caterpillars which essentially died while turning into chrysalis, chrysalis which did not emerge, and dead baby tree frogs. My property is chemical-free and on a dead end street. Bats and dragon flies are no longer seen either. I am highly suspicious of the spray ingredients the county chooses even though officials tell us the chemicals are harmless and necessary to kill mosquito populations. Has anyone fought city hall or spoken up with success? How can we help each other with this problem? Others say if we complain and show proof, we become targets by government entities. Hi. I’m finding a lot of what looks like misshapen monarch eggs. Not oval, more rounded, and a very pale yellow tinge coloring. Might they be unfertalized eggs? Placement on the leaf is similar to known egg location. Also, are aphids harmful to the caterpillar or egg? I raise mine indoors but worry about any aphids on the leaf. If these small things are not monarch eggs -should I get them away from my good eggs? 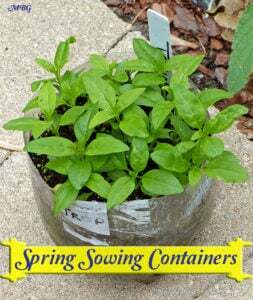 Milkweed should be rinsed when bringing indoors to remove aphids, disease spores, and potential predators. If there are a lot of aphids on the leaf, cut off a small leaf piece with the egg attached and place it on a new leaf…good luck! I have been raising caterpillars for years now. My faves are the Monarchs. I love everything about them! This year, however, has been the most awful year for all caterpillars. I have only found two, one Tiger, and one Eatern Black. I have hatched three Zebra caterpillars from eggs, two died while very young, the third made it to half an inch in length, then suddenly died as well. I read that the mothers when laying eggs can transfer bacteria, or harmful pests that kill the caterpillars. My Eastern Black made it to his last I star, he attached himself to a branch, and then I found him dead as well. I have NEVER had this kind of problem in all the years I’ve been raising them. I cried over every death. Right now I have a brand new Zebra, I am being extra careful, and praying things turn out. But like I said, I’ve never seen so few caterpillars and butterflies since I’ve been doing this. I’m bewildered. The worst part about all of this is I have not found a single Monarch egg or caterpillar. I have seen only a couple Monarchs on the milkweed, and none have laid eggs. I’m so upset by this. I have noticed that there are a LOT of these weird red and black beetle like I sects all over the milkweed. And the aphids are out of control. Last year alone I raised and released 21 of them. I even tagged them! It was fun and exciting…this year is so sad. I’ve decided to take all of my gear and rewash it really well, and get some new stuff as well, I’m hoping that will help. But I was wondering, do you know if there is less butterflies this year? Would love some help in this matter. BTW, I live out in the country, on the Eastern Shore. Thanks so much, your website is an inspiration!! 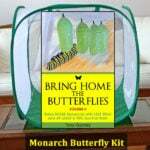 Next year I am building my own butterfly house and garden…I’m sure I’ll turn to you for advice again soon. Thanks! Hi Elisabeth, so sorry to hear you are having problems this season. Do you live in a region where there is increased spraying over zika virus concerns? Also, the monarchs had a freak winter storm hit the wintering grounds in Mexico this past March, while most were still there. Some survived, but the eastern population seems way down this season, based on reports across the eastern half of the country. Good luck with your new house and butterfly garden! I live in Central Florida and have many lizards that are running all over my butterfly garden. There are several different colors – brown, black, green and a light tan. I saw in your list of Monarch Killers that lizards are included. Is there any way to get the lizards to stay away from butterfly garden? I am going to use the mixture #1 for ants. Besides being on the ground they are also on the passion and pipe vines. Is there anyway to get the ants off the vines. Thanks for any information you can pass on. Hi Judy, sorry about all the predators crawling around your garden..I know they can be very frustrating! For the ants, I think you just have to give it a little time to spread throughout the colony. You could try hosing down the vines, but that would also remove eggs/caterpillars. good luck! they need some time to adjust to being back outside. I actually cut back all the stems of our tropical milkweed and let them start putting out new foliage. I use the stem cuttings to start new plants. Your other option is to put them outside in shadier conditions and gradually move them into sun over the next few weeks. But noticed that the leaves are bleaching out or fading from a nice glossy green to a dull almost bleached light green did I kill them? They aren’t growing like before. I wish that I could send you a picture. Could it be a type of snail? Hi Mary, I wasn’t able to move them, but maybe I didn’t try hard enough. I’ve gotten a few good leads now so I will investigate tomorrow and report back. Thanks for your post! 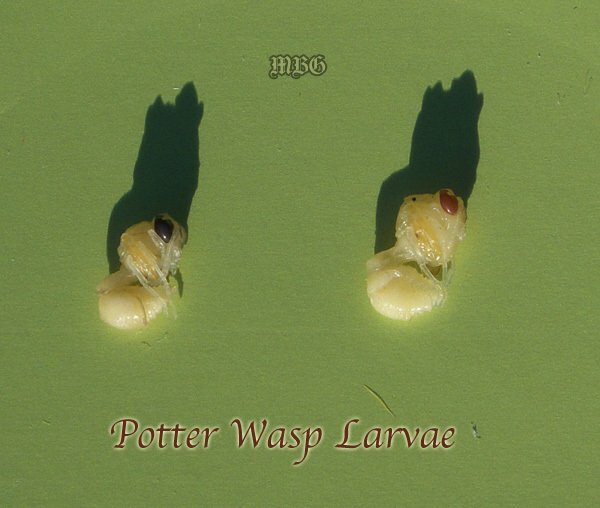 Mary, I have been advised that it is some species of “potter wasp”…a predator of the monarchs. Potter wasp, yes. Predator of moth caterpillars, yes. Predator of monarchs, not likely. It is actually benefcial because it catches caterpillars of many moths, some of them may be pests. It is not a dauber wasp. Those make different types of clay nests, not cute liitle pots. The image is not that of a potter wasp but a vespid in a different subfamily, probably Polistes. You may want to replace that image. 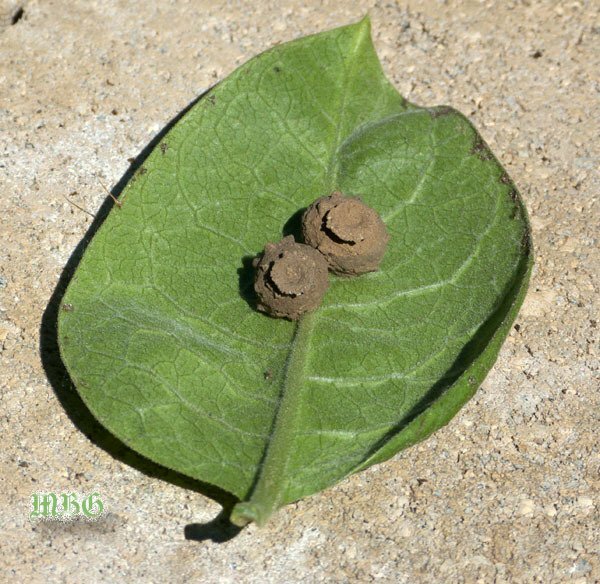 I don’t think potter wasps are common monarch predators like paper wasps, but I talked to someone else who found potter wasp nests on their milkweed too. It’s hard to believe they would build nests on milkweed if they weren’t feeding tussocks and monarchs to their caterpillar-fed larvae.